An interesting article on the website of XMPie deals with Customer Experience and the Customer Journey. As the article notes, customer demands are continuously increasing. Companies are responding by offering more and more product variety and communicating through various media channels and devices. As a result, the Customer Experience – the interaction between the customer and the business – is now a main aspect of a marketer’s daily work. 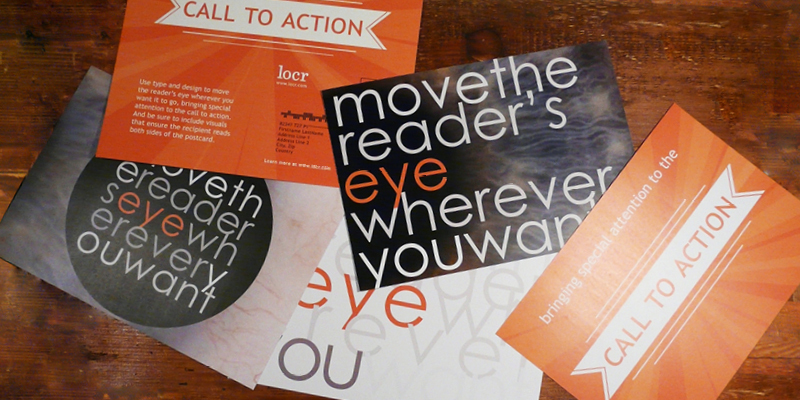 locr Services provide a solution for marketers to create more successful customer communication. Using the following three tips you can create a direct mail piece that drives more engagement and achieves higher response rates – which helps you to establish a valuable connection to your customer and a positive customer experience. To create a high level of engagement with a postcard, use as much personalization as possible to make it even more relevant to the recipient. Make your offer relevant to the customer by sending just those offers that are interesting to the recipient. 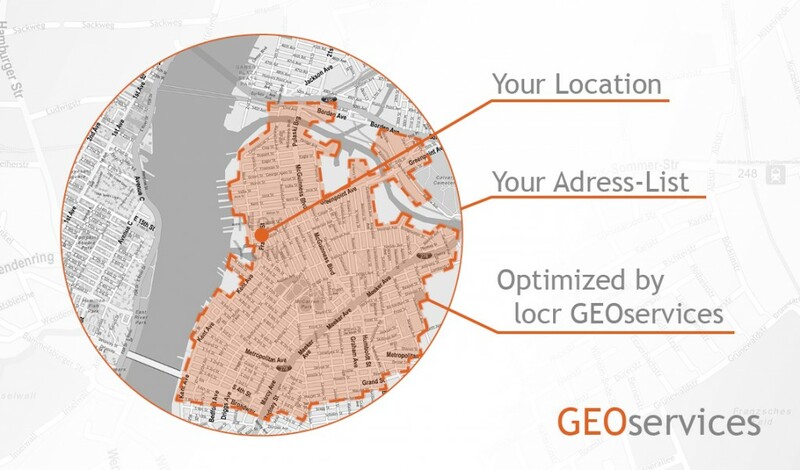 The locr GEOservices help you to refine your mailing list by distance and travel time to provide your target group with just the information it would really be interested in. No customer would drive 20 miles to do his grocery shopping, but a direct mail showing the route to the next supermarket 2 miles away would be relevant information (find locr solutions for retail here). Visual aspects create engagement but also establish a connection with your customer. 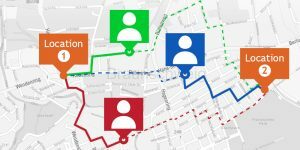 If you send your customer a personalized map with his address highlighted on it and a route to your next location – the first step of customer dialogue is already done. 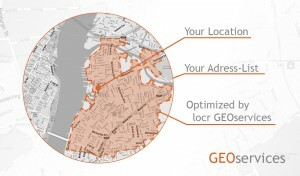 A map connects you visually with your customer. 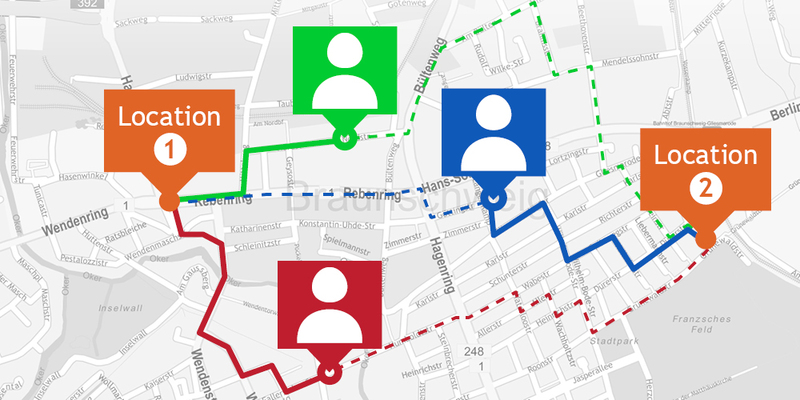 It shows the customer where you are and how he can get in touch with you and reach you by the shortest route. Choose from our variety of locr maps the one most suitable for your purposes – be it a map of your location (LOCALmap), a map with a highlighted route from your customer’s address to your next location (NAVImap) or different detailed map cutouts of a location or navigation map (MULTImap).